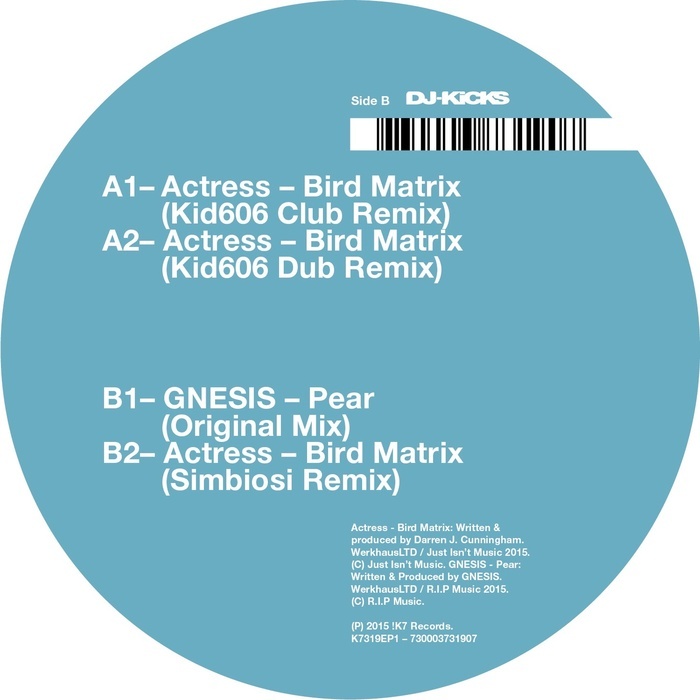 Germany's K7 have got it on lock-down with this latest 12', a full rework EP of Actress' "Bird Matrix" killer by a pair of dance luminaries. First up is Venezuela's Kid606, a man who has been making 'outsider' music since before the term was ever coined, and one who has been every bit as important to the dance music scene all the more commercial names. Kid606's Club Mix is driving, filled with slithering percussion and led by a gorgeous swarm of aqueous synths and Zelda-like sonics, while the dub version slows things down and muddies the groove up into a heady, meditative bundle of melodies and beats. Simbiosi, on the other hand, goes for the jugular and delivers a heavy, stomping techno retuning of the original - what a blinder! 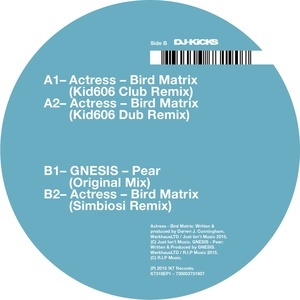 There's also a tune by the mysterious Gnesis, "Pear", which appeared on Actress' own K7 compilation. Ya need!